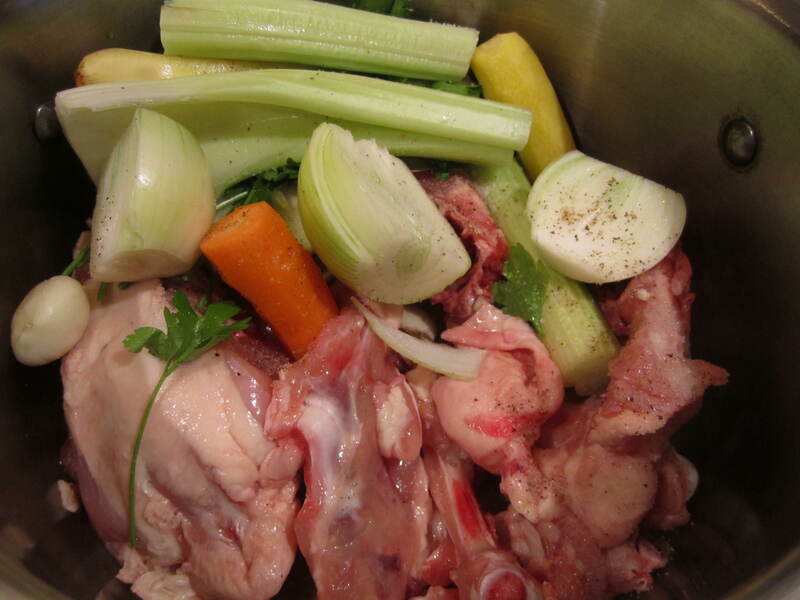 I think everyone should know how to make chicken/beef broth. There is nothing more comforting, or useful, than a bubbling pot of broth. The possibilities are endless, and if you make enough you can freeze it for up to 3 months! 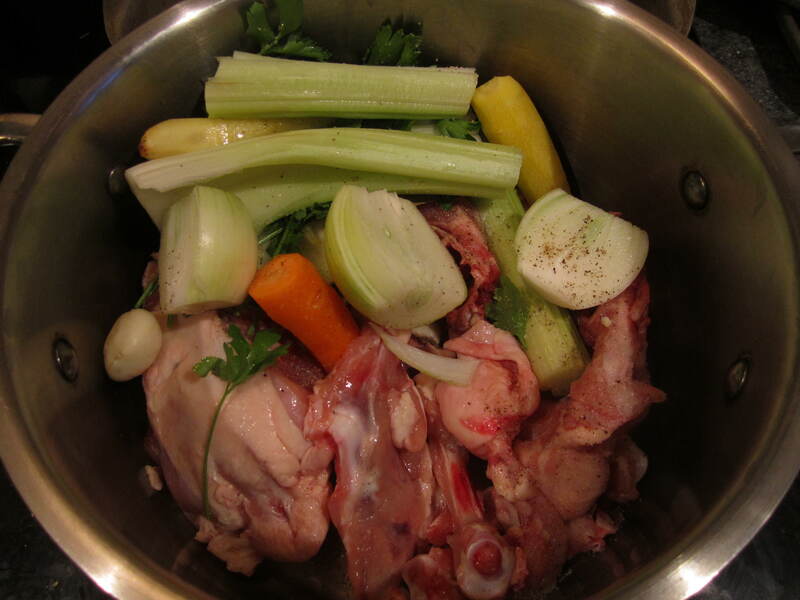 And whenever you see a recipe that calls for chicken broth, bam! You have it in your freezer! None of that fake canned/pre-bottled stuff; you have the real deal. 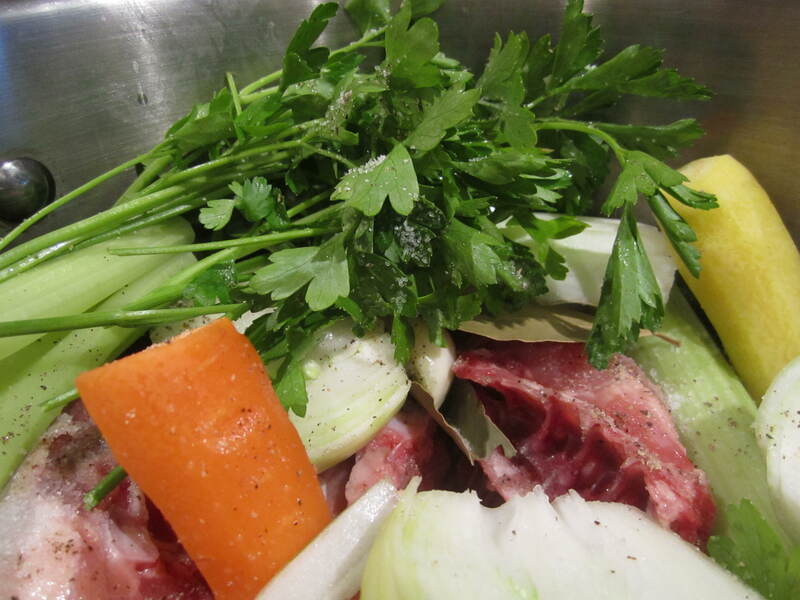 You have no idea how good your food will taste once you start using homemade broth. salt & pepper-The liquid will reduce, put a small amount and adjust the seasoning at the end. Put all ingredients in a large pot with about 4 liters of COLD water and bring up to nearly a boil over medium/high heat. Then, reduce the heat to a gentle simmer, skimming away any foam or scum that might accumulate at the top. Partially cover the pot and let it simmer. Remember the longer it simmers the better the result will be (about 3 to 8 hours). Once its done check and adjust the seasoning. Let it cool and strain using a fine strainer. 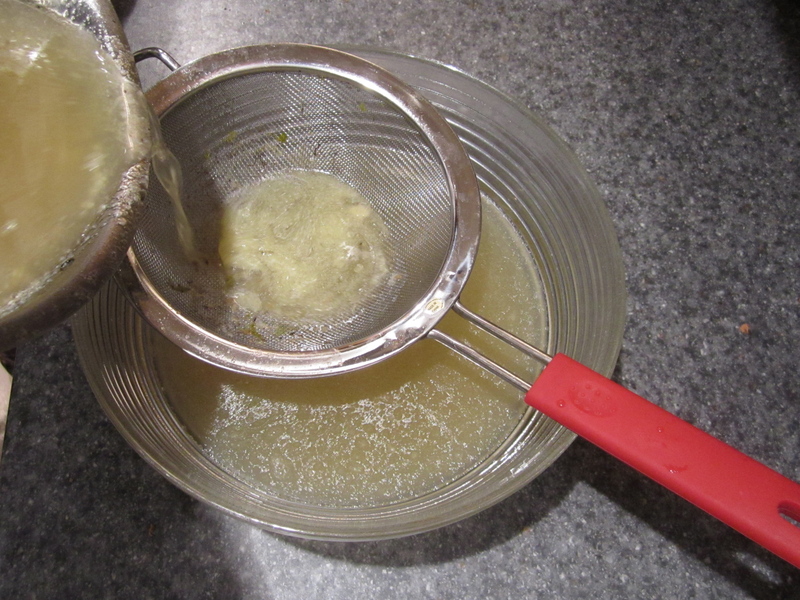 For clearer results use a cheesecloth over the strainer. Store and refrigerate for up to 6 days, or freeze in small-size batches for future use. And once you graduate from broth…The stock! I think it’s a great idea to devote one slow day of the week to cooking a broth/stock. After all there is not a lot of activity involved; you just put everything in a pot and then let time do its magic. Once you are done you can store it in the fridge for later use during the week, or pop it in the freezer to use it throughout the month. I normally store it in glass containers in the freezer you can also use plastic bags. If you opt for glass containers remember NOT to fill it all the way to the top, as water expands when it freezes and the container may burst! Leave at least 2.5 cm (approx.1 inch) of space between the top of the container and the broth.